A Taste of Colorado is Colorado's largest Labor Day Weekend festival. This festival highlights diverse cuisine from Colorado restaurants, offering bite size tastes to full meals. The "Golden Community Rodeo" is a weekly kayak competition in downtown Golden along Clear Creek at the Golden kayak park. You can sit or stand along the creek and watch the competition. It's pretty amazing what these kayakers can do, and definitely worth taking some time to watch. Can you think of a better thing to do on a warm spring Wednesday? Garden of the Gods in Colorado Springs is probably the most beautiful small park in the state. Paved trails make it easy to wander around and check out the amazing cliffs and spires. Picnic areas, paved and unpaved hiking trails, horseback riding, a trading post, and a visitor's center with amazing views; Garden of the Gods is a great place to spend a day. One of the best ways to experience Denver's rich Hispanic heritage is to visit the annual free Denver Cinco De Mayo Festival, one of the best things to do in Denver on a May weekend. Western Welcome Week is a festival in Littleton Colorado that celebrates our western tradition of community cooperation. This is the premier event in the Denver area for clubs, charities, and other non-profit organizations. Instead of the typical endless line of vendor booths, you will find tents set up to gain your interest and participation in various non-profit organizations. Finding a new hobby or charitable cause to get involved with is one of the rewarding things to do at Western Welcome Week. Looking for a popular Denver attraction for the kids? The free Denver Movies in the Park are one of the top things to do in Denver with the family, and not to be missed if you're in Denver with kids. The free Celestial Seasonings tour is a fun way to learn about tea and tea making, while sampling the most popular Celestial Seasonings flavors! A stop at the Celestial Seasonings tour is a favorite vacation destination if you're traveling to Colorado. It turns out that Aspen has a free art museum and hiking / biking trail system that are both amazing Aspen attractions. The museum is always free, but check their web site to see what is currently on display. If you want a more scenic experience, you can get to the museum by walking or biking the trail that goes through the neighborhoods and begins behind the visitor center at Rio Grande Ball Fields. 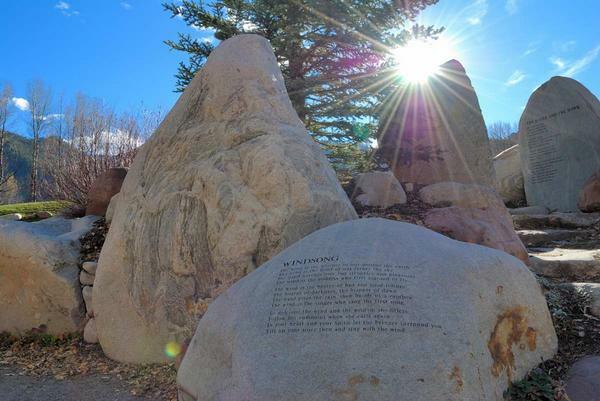 If you walk the trail, make sure you visit the free and amazingly beautiful John Denver Sanctuary! Over the years Ed Trumble has assembled what is likely one of the finest collections of western art in America. His collection is housed in the Leanin' Tree Museum and Sculpture Garden of Western Art in Boulder, Colorado. The free Leanin' Tree Art Museum is one of the best museum values in Colorado. The exhibits are truly amazing and represent many decades and styles of western American art. The museum contains over 250 paintings and 150 sculptures. Monday - Friday 8am to 5 pm. Saturday, Sunday, Holidays 10am to 5pm. Closed Easter, July 4, Christmas Day, New Years Day. 6055 Longbow Drive, Boulder Colorado, 80301. Located near the free Celestial Seasonings Tour. I am a sucker for old buildings, and McCormicks Fish House and Bar, located in LoDo in downtown Denver, has everything I'm looking for. Denver Mint Tours are closed for construction through February 27, 2014. The Denver Mint building is highly secure, so you will need to pass through a security screening before your tour begins. Many common items are not permitted on the tour, such as purses, check their web site for a detailed list of prohibited items. The tour itself is very informative and interesting, discussing not only how new coins are made but also America's coin making history. Be at the tour entrance 30 minutes prior to your tour time. It's just off the southern end of the 16th Street Mall near Civic Center Park.